I am having trouble processing a satellite image using the RF (Random Forest) classification, that is a machine learning algorithm in the Orfeo Toolbox of QGis 2.18.1. When I run the Tool, the processing takes less than a second but I do not have any result. So, I have neither an error nor a result. I have tried changing parameters and inputs but nothing is showing up at the end of the process. Please can anyone shed light on this problem for me? ERROR: Parameter -sample.edg does not exist in the application. I Tried the same algorithm with QGIS 3.4 but i still not have any result. 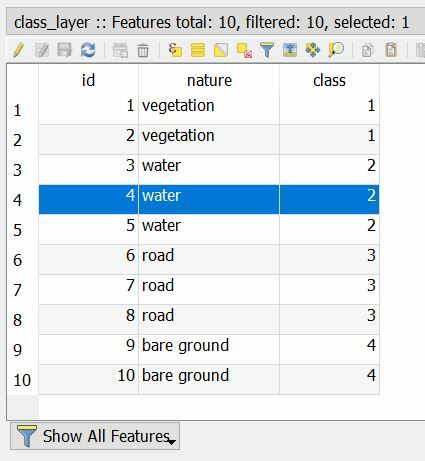 Browse other questions tagged qgis classification orfeo-toolbox machine-learning or ask your own question. How do I get the vector output segmentation algorithms to work properly in QGIS 2.0?